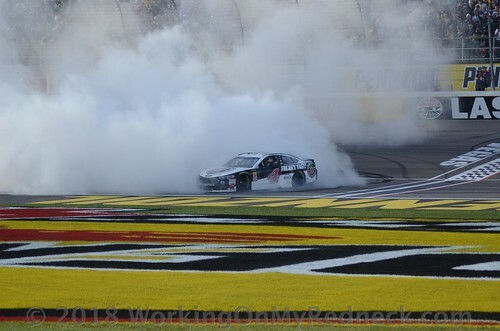 Kevin Harvick’s dominating victory in Sunday’s Pennzoil 400 presented by Jiffy Lube at Las Vegas Motor Speedway was head-turning in its standard of excellence. For NASCAR West Coasters like the Californian Harvick, winning on NASCAR’s Western Swing has become a particular source of pride. And statistics show, winning happens a lot for the West Coasters on the sport’s Western Swing. 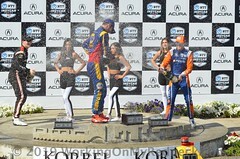 This week’s top-three finishers at Vegas, for example, all hail from the region. In addition to Harvick, from Bakersfield, Calif., runner-up Kyle Busch is a Las Vegas native and third-place finisher Kyle Larson is from Elk Grove, Calif.
Five Monster Energy NASCAR Cup drivers from the West – Harvick, Busch, Larson, Jimmie Johnson and Kurt Busch account for 33 wins at the three #NASCARGoesWest tracks – Las Vegas, ISM Raceway in Phoenix, and Auto Club Speedway in California. Add another six wins – covering all three venues – if you count in California native, retired Cup champion Jeff Gordon’s work there. A.J. 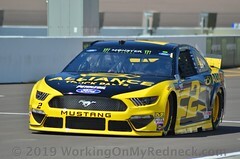 Allmendinger, of Los Gatos, Calif., hasn’t won yet on the Western Swing, but did earn the pole position at ISM Raceway in 2010 and has two top-10 starts in his last four Auto Club Speedway races. And Phoenix native, Alex Bowman won the pole position at his hometown track in 2016 driving for the injured Dale Earnhardt Jr.
With a pair of trophies in three races already this season, Harvick is riding a huge swell of momentum into this week’s TicketGuardian 500 at ISM Raceway. It is a venue where he has already produced a career-highlight mark on his resume. 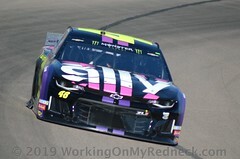 He has a series-best eight wins at ISM Raceway and 19-top-10s in 30 starts. He won five of six races between 2013-2016, finishing runner-up in the only race during that stretch that he didn’t win. 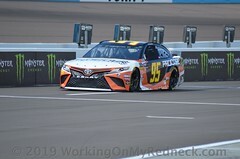 He hasn’t finished worse than sixth in the last nine ISM Raceway races. For Harvick, spending time out West is something he particularly looks forward to and this year he’s doing something he’s never done before – competing in a NASCAR K&N West Series race at Kern County Raceway in his native Bakersfield. “To be brutally honest with you I am looking forward to going to race the K&N car more than any of them next Thursday – not because I don’t enjoy what I do here, but because I have never raced at Kern County Raceway in my hometown,” Harvick said last weekend in Las Vegas. 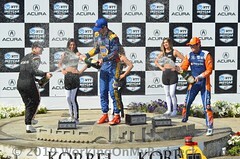 “I like coming to all three of these races because I get to see so many fans and friends. The race of the three weeks that we are out here, the four that I am going to race, the one I am looking forward to the most is the K&N race because it isn’t something I get to do all the time. Competing in a sport once traditionally associated with the Southeast, for these West Coast natives, racing in places such as Las Vegas, Phoenix and California has been a chance to shine in front of the fans and supporters who watched them establish themselves and ascend at the local tracks throughout the region. That those same drivers seem to naturally fare so well “at home” is appreciated by the team, by the fan, and by the driver. And a trophy this weekend would surely be welcomed by Californian Jimmie Johnson, the sport’s seven-time champion who hasn’t won a race since last Spring. His mark of 25 races since a victory is the longest in his career, albeit a small time frame by any competitive standard. And he’s returning to the land of victory donuts and champagne toasts. Johnson is second only to Harvick in trophy-hauls and optimism at ISM Raceway with four wins, three pole positions and 20 top-10 finishes in 29 starts at the track. He captured those four victories during a five-race span during the 2007-09 seasons. He has four top-11 showings – and a pole – in the last six races at Phoenix. And if Arizona doesn’t prove to be the place that restores his winning ways, Johnson is the gold standard in his native California, the track where he hoisted his first of 83 trophies. He boasts a series-best six wins at the 2-mile Auto Club Speedway. He has scored a pair of pole positions and accumulated 16 top-10 finishes in 23 starts at the track – his last win coming in 2016. Similarly, the Elk Grove, Calif. native Larson has proven himself top-shelf at Auto Club Speedway, winning from the pole position there last year. 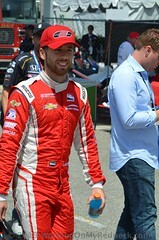 He was runner-up at the track in his Cup race debut there four years ago. With the exception of Larson (who was runner-up in the 2017 spring ISM Raceway race), Harvick, Johnson and both Busch brothers have victories at the always tough one-miler. Kyle Busch has finished in the top-five in his last five Phoenix races including runner-up in 2016. His older brother Kurt won at ISM Raceway in 2005 and has top-10 finishes in five of the last seven races here. At Auto Club Speedway, Kyle Busch has three victories, including back-to-back wins in 2013-14. His older brother Kurt won at California in 2003 and has four top-10s in the last six races there. The opportunity to compete in front of a “hometown” crowd is something Kyle Busch says he appreciates for competitive and sentimental reasons. “Everybody hates the time change,” he said. “I use that to my advantage since I think I’m usually on West Coast time, anyway. I still haven’t gotten East Coast time down yet. “It’s fun for me. It’s a cool atmosphere and the weather is great without the humidity. If it’s hot out, it’s nice and warm. And if it’s cold, it’s a crisp cold.